Is the Beginners Course right for me? The Beginners Course is suitable for any student new to yoga or new to the Iyengar method of yoga. 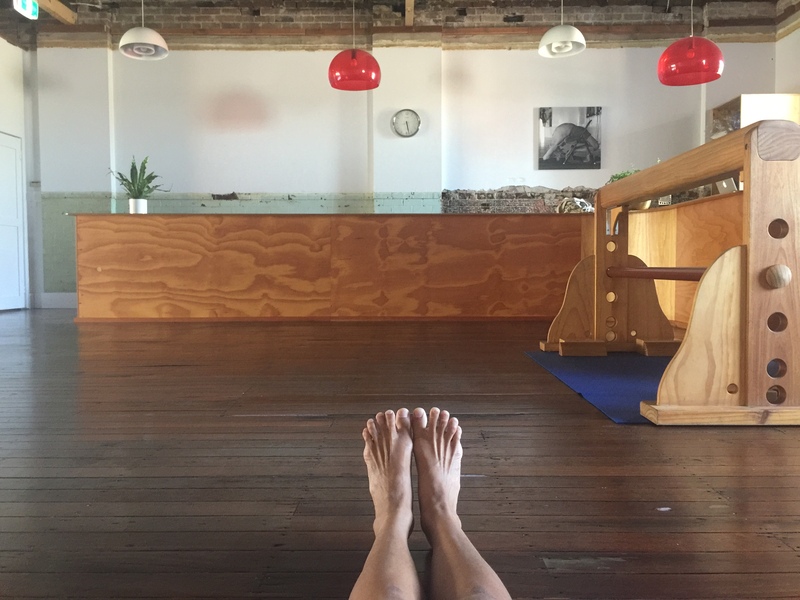 The Beginners Course is designed to introduce students to the foundations of the Iyengar method, where the emphasis is on precision, alignment, and timing. How does the Beginners Course run? The Beginners Course has been specifically designed to introduce students to Iyengar yoga in a structured manner. The Course is run over a period of 6 weeks, with students progressing each week through a carefully planned series of classes. Please check the website for course starting dates. You can attend any of the ten beginners classes a week. Do I need to book into the classes I want to attend? No, but we do recommend arriving a few minutes prior to the scheduled start time. This ensures that the class will have availability for you and allows classes to start on time. Do I need to book into a course or can I just turn up? We highly recommended you book into a course as our popular Beginners Course does fill up quickly. Read more about our Beginner’s Course here. Can I start the Beginners Course if I have an injury? The Beginners Course is designed for students who are generally well and do not present with chronic injuries or illness. Stiffness is not a problem, nor are injuries which still allow you to move freely – just be sure to advise your teacher of any problems you are facing. 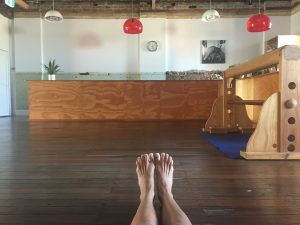 What equipment do I need to bring to a yoga class? Just bring yourself. We provide all you need in a yoga class however you are certainly more than welcome to bring your own mat if you prefer. Yes. We have change rooms and a bathroom. I have an injury or illness but I really want to start yoga – what should I do? Book in to our Yoga Therapy class. For those keen to start yoga who do suffer from serious injury or illness, we suggest our Yoga Therapy class as an ideal place to start. In a Yoga Therapy class you will have the opportunity to receive one-on-one attention and will be able to get the advice that can help you move forward in yoga. Please see our website for more information on Yoga Therapy. Find out more about Yoga Therapy here. I would like to put a pause on my Direct Debit – how do I do it? No problem. We can make changes to your Direct Debit payment, such as changing your pass or putting a pause on your payments while are away. Please note the following updated Terms and Conditions regarding our Direct Debit method of payment. You are welcome to suspend your pass if you are going on holiday, travelling for business, or unable to practice due to serious illness or injury. Seven days notice by email prior to any pass suspension date is required. If you miss a class you are more than welcome to make-up your classes at a time that suits you. This operates on an honours system but if you are unsure of your attendance record you can use Punchpass to track your attendance. We will no longer be checking attendance records via email. Make up classes need to be made up while membership is active. For additional classes undertaken which exceed the Pass Limit the cost is $16 payable at the time of class attendance. Please note that all our passes allow access to all classes on the timetable excluding the Yoga Therapy class at 4.30pm on Thursday. Do you have pre-natal classes? No. We do not recommend that people start yoga at the Centre once they become pregnant, we do have many pregnant women at the school that have been long term students. Can I continue with Yoga if I become pregnant? Yes, existing students who have already developed a relationship with our senior teachers who have the training and experience to guide them in their continued practice of yoga. If I go on holidays or injure myself, can I pause my membership? Yes, we simply ask for minimum 7 days notice in writing for all changes (permanent and temporary) to your pass. I couldn’t attend a course I booked. Can I get a refund? We understand that sometimes life gets in the way and things don’t always go to plan. Please advise us via email as soon as possible if for any reason you are unable to attend the Course you have booked. For Beginners, we are happy to transfer your unused course to the following Course. Alternatively, all refunds incur a $30 administration fee.